The crown is the part of the tooth that is visible in the mouth. The root extends into the bone of the jaw, anchoring the tooth in position. Enamel is the hard outer coating of a tooth. Dentine is a softer material that supports the enamel and forms most of the tooth. Cementum is a hard material that coats the root surface. Dental pulp is the soft tissue at the centre of the tooth. The pulp is made up of soft tissue that includes nerves and blood vessels. If bacteria infect the pulp, it will begin to die. After this, the bacteria can increase in number. The bacteria and the substances they release will eventually pass out of the end of the root canal through the small hole where the blood vessels and nerves enter. This process continues as there is nothing to stop more bacteria passing down the root canal, which causes the tissues around the end of the tooth to become red and swollen. This can cause your tooth to become painful and, in extreme circumstances, your face may become swollen (dental abscess). In root canal treatment, the bacteria are removed from inside the root canal system, the root canal is filled and the tooth is sealed with a filling or crown. In most cases, the inflamed tissue at the end of the tooth will heal naturally. 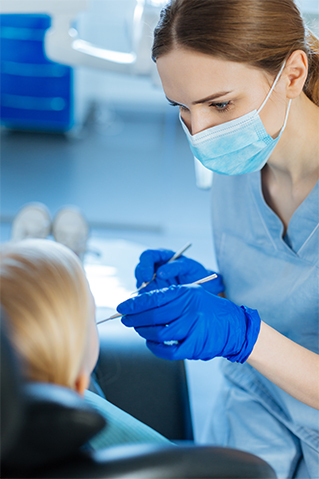 Root canal treatment should not be painful because local anaesthetic is usually used. The procedure is usually very successful and should be no more unpleasant than having a filling. In about 9 out of 10 cases, a tooth can survive for up to 10 years after root canal treatment.